Home-tended brand Trenery was launched in 2009 for women and men who appreciate simple, sophisticated, timeless and modern styles. The brand aims to offer everyday luxury by focusing on the design and purpose of individual pieces. Trenery emphasises relaxed elegance, subtle details and flattering cuts to craft creations you can dress up or down. 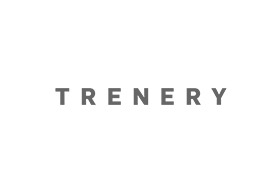 Trenery is the brainchild of the team behind Country Road, the country’s first lifestyle brand and one of its biggest speciality apparel retailers. Trenery Chadstone features shoes and clothing in diverse styles. Trenery is a label for men and women who appreciate the beauty of a simple, sophisticated collection that is modern in approach and classic in style. Trenery focuses on quality, style and craftsmanship - the perfect cut, impeccable detail and beautiful fabrics. Trenery has a timeless, easy elegance and flattering fit. Womenswear includes a smart casual range, while menswear consists of smart casual and career ranges. Seasonal accessories complement the apparel ranges for both men and women making it easy to create a look that's effortlessly simple. Trenery delivers everyday luxury; the classics that should be in every wardrobe.Pop into the Trenery store at Chadstone located at the ground level; the David Jones car park is the ideal place for parking, so you can shop in comfort.